Jonah Parzen-Johnson’s solo baritone saxophone album Michiana counts among many of the excellent albums that were overlooked last year. While I did see a handful of reviews online, I didn’t notice a whole lot of recognition in terms of more reviews, making it onto best of lists, mentions on the blogosphere, etc., for an album which I think definitely deserves it. Of course I could have missed something, and due to a variety of reasons I wasn’t really able to check this out until after the new year. But, on the whole I think more people should be aware of Michiana. Of course all this being said, some people might balk at just the idea of a solo baritone saxophone album (it’s not completely solo, as the final two tracks include electronics), especially an album that can be a difficult listen, albeit not in a negative sense. But, being a bari player myself and a person with an adventurous set of ears, I dug right in and I find more to love with every repeated listen. The album is named for the town of Michiana, which is on the Michigan-Indiana border, and presumably it is where Parzen-Johnson is from. The song titles, such as “Never Meant to Keep in Touch,” “If He Was Just Scared, then That’s Ok,” and “You Fell Asleep and I Didn’t Mind, But Then I Woke You Up,” are often quite evocative and suggest that the songs hold personal meanings for their composer. The performances further cement the idea that this is a deeply personal album. That it is a solo album certainly contributes to this, but there is an immediacy, intimacy, and an unabashed honesty and directness that Parzen-Johnson is able to convey through the music. “You Probably Don’t Remember” is an excellent example of this. It begins slowly in the middle range of the horn, with short phrases and longer notes with a touch of vibrato, the dynamic level relatively quiet. As it develops Parzen-Johnson becomes more active and about two-thirds of the way in he introduces multiphonics, which he alternates with a single punctuated note. He increases in volume, and begins to sing while playing multiphonics, slowly becoming more agitated. The effect is chilling, and reads like a direct personal statement that perhaps only Parzen-Johnson and the “you” in the title can decipher. Throughout the course of this album, Parzen-Johnson reminds the listener that there are many types of virtuosity. While many people may think of virtuosity or great chops as only encompassing the ability to play a lot of notes very quickly, it’s important to remember that total control over and mastery of one’s instrument, which includes tone quality, phrasing, the shaping of notes, etc. are crucial. These things, especially when technique is used in service of the music – and not the other way around – are more important than just the ability to churn out a flurry of notes. Simply put, Parzen-Johnson is a phenomenal baritone player. His sound has as dense of a core as one can get, the tone is complex, controlled and even throughout the range of the horn, he uses a wide range of dynamics, and he is able to deploy and control multiphonics, often while singing through the horn in a similar fashion to bass saxist Colin Stetson. As opposed to those virtuosos who play lots of notes, Parzen-Johnson plays relatively few of them. One of the exceptions to this is on “Never Meant to Keep in Touch,” which includes a section of rapidly repeated arpeggiated and intervallic figures performed in a quasi-minimalist, quasi-Baroque fashion. And dig how he adds multiphonics when the section returns at the end of the track. In general, many of his notes and phrases are long, and his tempos slow. It takes great skill to play music like this so musically. 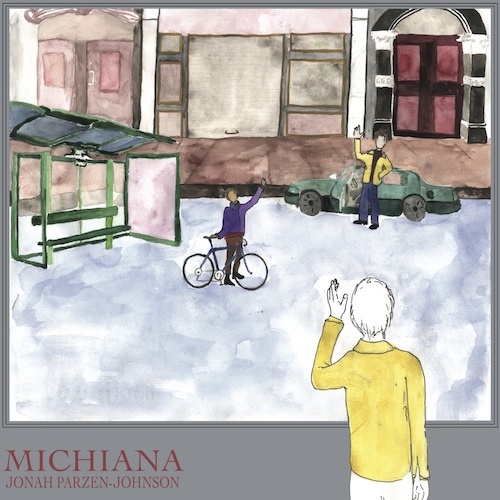 Parzen-Johnson has spent some serious time in the shed working on long tones, fundamentals and extended techniques, and that time and work has paid off, as Michiana is a unique and phenomenal album that is stunning, haunting, beautiful and at times heartbreaking. Go and find Michiana, as it is something to behold.